The mammalian germ cells, cell assemblies, tissues, and organs during development and maturation have been extensively studied at the tissue level. However, to investigate and understand the fundamental insights at the molecular basis of germ and stem cells, their cell fate plasticity, and determination, it is of most importance to analyze at the large scale on the single-cell level through different biological windows. Here, modern molecular techniques optimized for single-cell analysis, including single fluorescence-activated cell sorting (FACS) and single-cell RNA sequencing (scRNA-seq) or microfluidic high-throughput quantitative real-time polymerase chain reaction (qRT-PCR) for single-cell gene expression and liquid chromatography coupled to tandem mass spectrometry (LC-MSMS) for protein profiling, have been established and are still getting optimized. 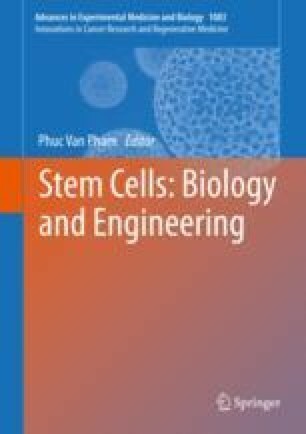 This review aims on describing and discussing recent single-cell expression profiling and proteomics of different types of human germ cells, including primordial germ cells (PGCs), spermatogonial stem cells (SSCs), human adult germ stem cells (haGSCs), and oocytes.